Awards Season is in full swing and you know what that means: Hollywood is abuzz with A-listers getting primped and pampered for flawless close-ups. But even if you’re not walking the red carpet there’s no reason you shouldn’t look like a million bucks. Check out these star treatments that will give you real results to last long after the party’s over. Aesthetician extraordinaire (and stunning beauty) Gina Mari is known for giving clients a radiant no make-up look and her new multi-layer treatment is just what you need for Awards Season skin perfection. Aptly called The Statuette, the 90-minute session ($1000) includes deep pore cleansing, dry and wet face & body microdermabrasion (neck, chest, décolletage, arms, hands and legs), microcurrent to lift and tone skin and muscles (it feels so good! ), active vitamin infusion, oxygen therapy, oxygen glow serum and LED lights for face & body. I had a version of this treatment done and I walked out looking refreshed, rejuvenated and feeling uh-maze!!! Shine bright like a diamond with the new Diamond Youth Facial ($305) at The Spa at Four Seasons Hotel Los Angeles at Beverly Hills. 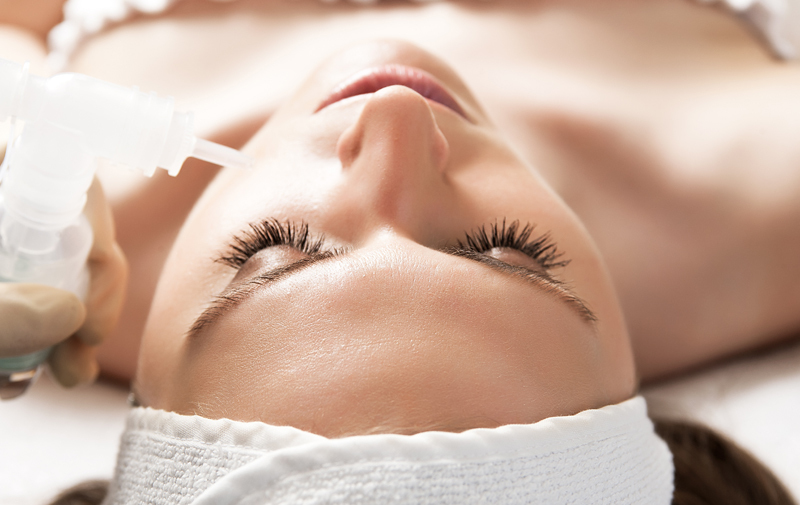 The treatment uses Innovative Skincare (my personal fave) and Envy Medical SilkPeel Dermalinfusion machine’s diamond-tip vacuum technology to lift and exfoliate dry, dull outer layers of skin while infusing a customized serum directly into the epidermis to plump fine lines, minimize dark spots and clarify pore congestion. 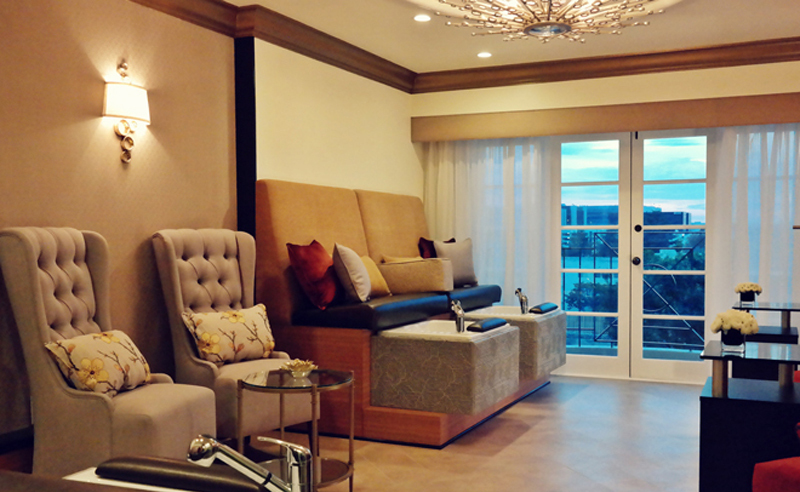 Visiting the spa alone will make you feel like a celebrity and there’s always a good chance you’ll see one. Last time I was there I saw Halle Berry waiting for a mani and now you can get your own digits dolled up at the spa’s new Nail Suite offering everything from classic manicures ($55) to gel pedicures ($110). They say a beautiful smile is your best accessory and top cosmetic dentist Dr. Sam Saleh of Ora Dentistry Spa couldn’t agree more. While he offers a full range of services for clients (including Tyra Banks), for white teeth specifically, he suggests the Zoom laser whitening ($650 for in-office service with home whitening trays and gels). 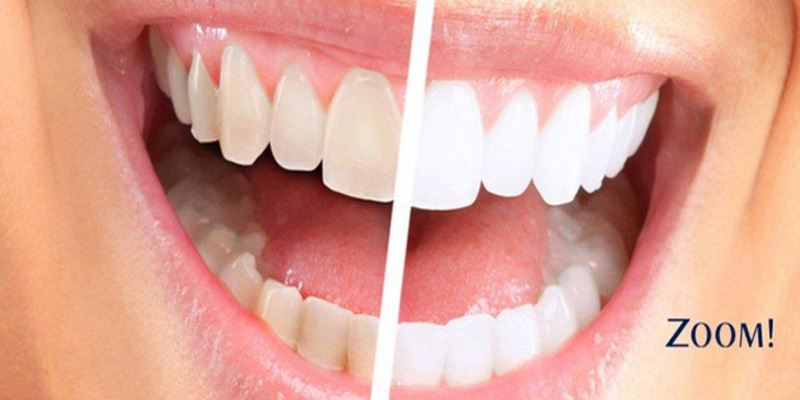 The treatment takes approximately one hour and can whiten teeth by up to 10 shades. If you’re a little hesitant to go that route, Dr. Saleh says you can also try a natural remedy to help brighten your smile. “Strawberries contain malic acid, which behaves as an astringent to remove color molecules from the natural tooth structure.” Just combine baking soda and crushed strawberries, brush the mixture on your teeth, leave on for five minutes, then rinse and brush with toothpaste. Hello, gorgeous! Forget those super strict starve-yourself juice cleanses. They never last anyway. Lisa Odenweller’s gourmet superfoods company, Beaming, is the ultimate way to cleanse with food not just juice. Through the power of organic plant-based foods, juices and smoothies that actually taste AMAZE (I’m obsessed with the gazpacho! 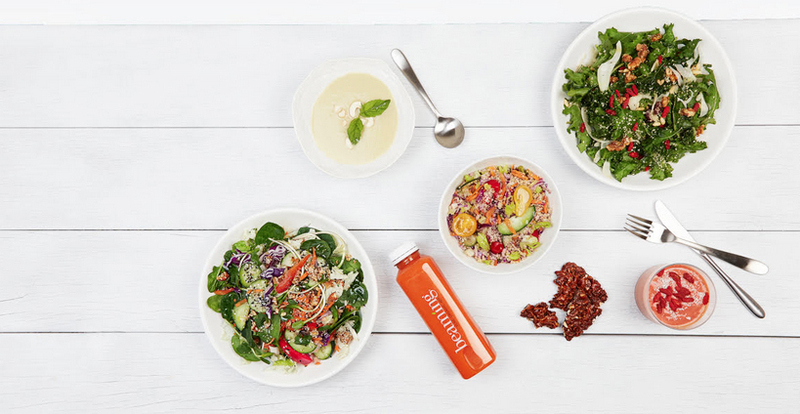 ), Celebs love Beaming’s countless options from the Lifestyle Cleanse ($245 for 3 days) to regular a la carte menu items ranging from $6 at the cafes in Brentwood, Santa Monica, Del Mar, La Jolla and more coming soon. A pearly white smile can make you look 10 years younger, but Dr. Kourosh Maddahi, cosmetic dentistry pioneer and author of the new bestseller “Anti-Aging Dentistry: Restoring Youth, One Smile at a Time,” says you can do even more by improving the shape and placement of teeth without painful procedures. 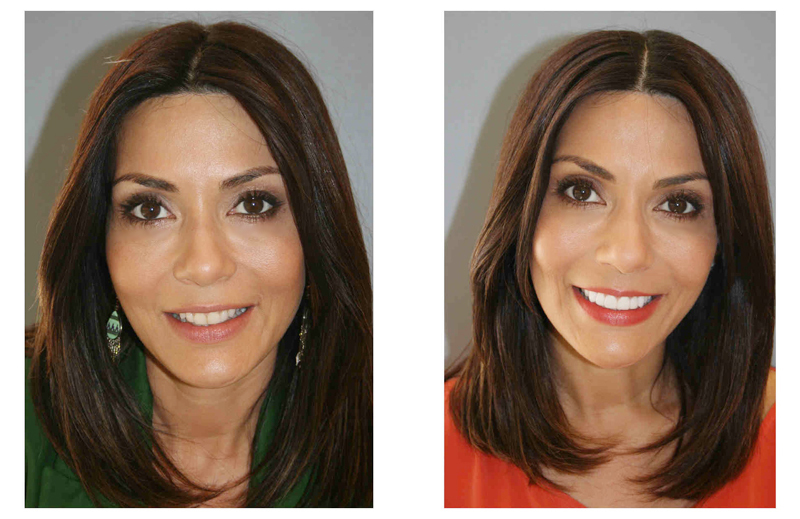 Dr. Maddahi’s Smile Lift (price varies) actually rebuilds a youthful appearance from the inside out, resulting in a permanent and natural-looking solution. 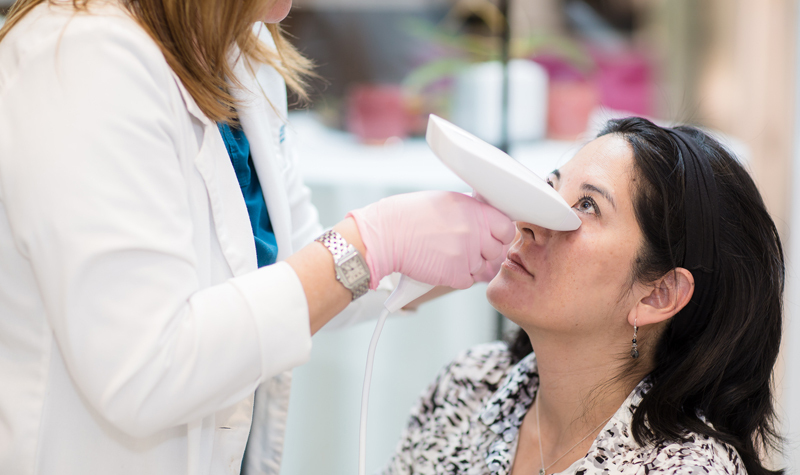 “For each patient, I will examine their individual facial structure and how it relates to signs of aging. From there, I am able to craft a specialized plan to best restore the look of their youth.” Now, instead of temporary fillers or risky surgeries, you need not look any further than your own smile! If you want to look like a goddess, consider splurging on the new Venus Viva that promises to make your face look brighter and tighter without surgery. Celebrity skincare guru Dr. Harold Lancer offers the treatment, which diminishes wrinkles, acne scars, large pores, uneven texture and pigmentation, with NanoFractional radio frequency. 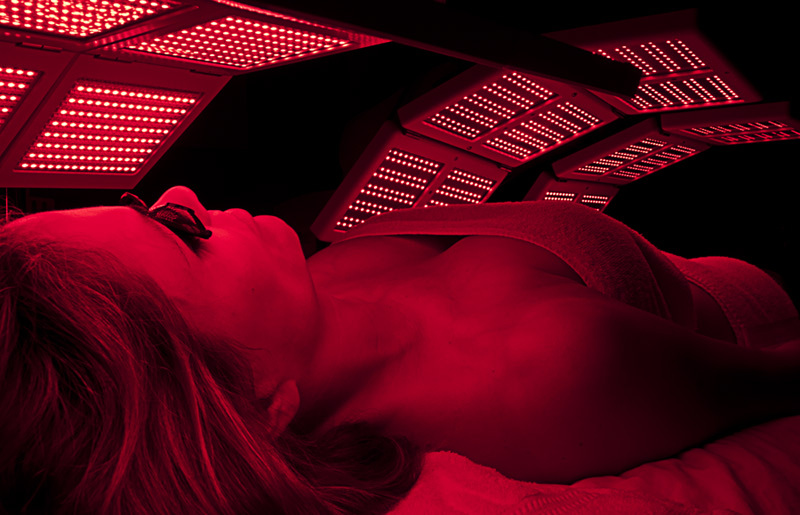 It’s all pretty high tech stuff and treatments start at $1500 per area with noticeable improvements in 3-4 sessions. And if you want a whole body experience like client Sofia Vergara, try the Venus Legacy machine to tighten, lift and brighten your body. Wouldn’t that be nice? Protecting your skin from harmful sunrays is a must. But before you reach for that chemical based cream, don’t! Colorescience is a mineral makeup and suncare/skincare line that helps you achieve a flawless look without the use of harsh chemicals, dyes, alcohol, mineral oil or fragrance. 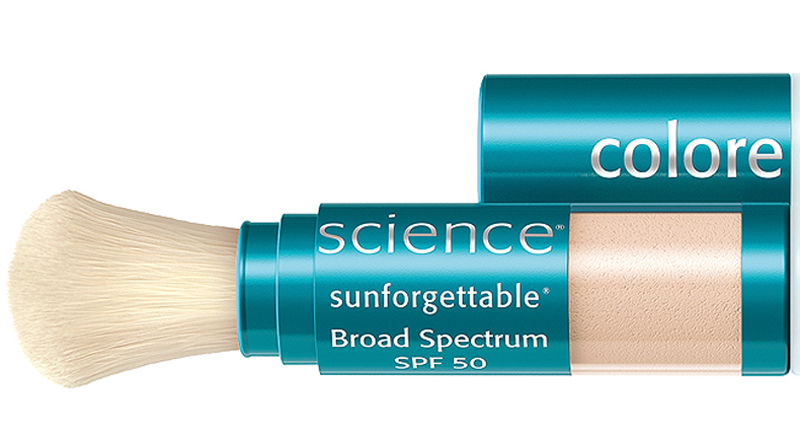 The popular Sunforgettable sunscreen powder brush ($52 for SPF 30; $62 for SPF 50) is a celeb staple and the SPF 35 lip shine ($25) is simply fabulous. I’m in love with the rose tint – finally, a non-sticky lip gloss that has just the right amount of color!